The Schizophrenia Research Institute was originally established in 1996 as the Neuroscience Institute of Schizophrenia and Allied Disorders (NISAD), the name was changed to the Schizophrenia Research Institute in 2007, and was amalgamated into Neuroscience Research Australia (NeuRA) in 2015. 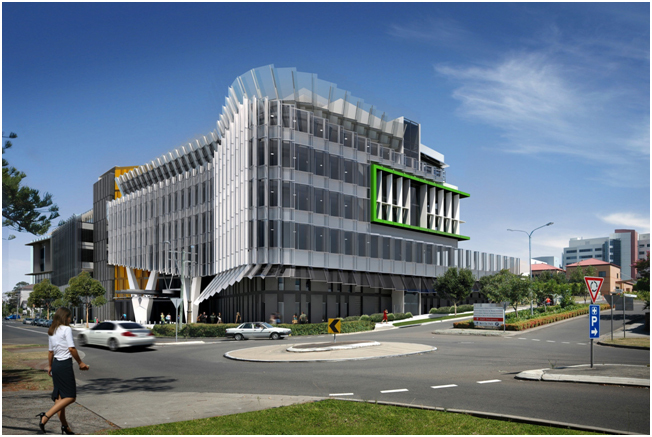 The head office of the Schizophrenia Research Institute, the Australian Schizophrenia Research Bank, and the Schizophrenia Library has since been relocated to NeuRA’s Margarete Ainsworth building in Randwick. The Schizophrenia Research Institute is the only national medical research institute solely dedicated to discovering the ways to better treat, prevent and cure schizophrenia. Established in 1996 as Australia’s first virtual medical research Institute, the organisation conducts and supports schizophrenia research in hospitals, universities and research institutes across the country and internationally. The Schizophrenia Research Institute drives a proactive research agenda, has invested over $26 million and has had numerous successes to date. The Institute is funded by government grants (NSW Health), corporate and private donations. The Schizophrenia Research Institute’s mission is to discover the ways to understand, better treat, prevent and cure schizophrenia. Research suggests that schizophrenia may be a neurodevelopmental disorder involving alterations in the usual growth and maturing processes of the nervous system. Although progress has been made toward better understanding and treatment of schizophrenia, continued investigation is urgently needed. Research is expected to gradually lead to new and safer medications and to unravelling the complex causes of the disease. The Schizophrenia Research Institute supports schizophrenia-related research in a wide range of scientific domains, from basic neuroscience and genetics through to clinical and population-based studies, and has developed a wide range of new initiatives, initially throughout New South Wales, but increasingly on a national scale. The institute supports a multi-disciplinary program of schizophrenia research in the areas of Developmental Neurobiology, Cognitive Neuroscience and Epidemiology. The Schizophrenia Research Institute has also been instrumental in developing schizophrenia research infrastructure facilities, which have provided a foundation for a range of research findings. The 1 in 100 people who have or will develop schizophrenia, many with continuing disability, stand to benefit in the future. In addition to the heavy emotional burden and distress for families around Australia, schizophrenia costs the community around $2.6 billion annually in direct costs and loss of productivity. At a time when others are planning their lives ahead, the ambitions and aspirations of people with schizophrenia are jeopardised. Plans for further education, careers and relationships are often curtailed as the illness takes hold. Retreat from reality, with delusion formation and hallucinations, and social isolation can become ongoing problems. There is currently no cure for this usually lifelong illness. Prior to the launch of the Schizophrenia Research Institute in 1996 there was no strategic drive in NSW for research into schizophrenia. Today the opportunities to make a difference in this area of research are dramatically improved. The more research we do now, the sooner we will be able to prevent young people from developing schizophrenia.